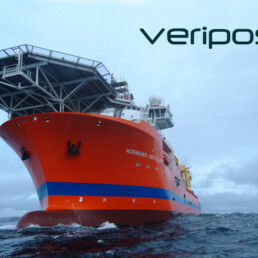 VERIPOS provides high precision positioning services in a number of markets, including the marine oil and gas and land based agriculture industries. Headquartered in Aberdeen, it has global operations in Singapore, Australia, North and South America employing around 115 staff worldwide. VERIPOS is owned by Hexagon, a leading global provider of information technologies. 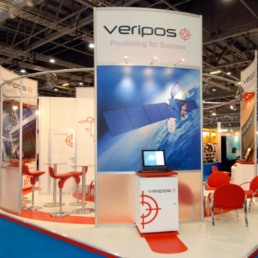 In 2012 the ownership of VERIPOS changed which led to a requirement for them to quickly deploy their own infrastructure and applications. They selected Dynamics AX 2012 R2 as their ERP system and appointed an AX partner to implement and support the application. The system went live in January 2014 with an operational focus around Finance and Supply Chain Management. The system was limited to core modules and aggressive implementation timescales meant that there was little opportunity to explore further modules available within the standard MS package and ways that the system could be used to realise efficiencies to business operations. Many processes continued to be undertaken outside of the system. Following the initial implementation VERIPOS held a view that their AX support partner had a limited understanding of their business needs and the partner’s geographical location meant change was often time consuming and expensive. It was time for change. VERIPOS sought a responsive Microsoft support partner with deep knowledge of their sector and a local delivery capability. In July 2015 VERIPOS contracted with Incremental Group to undertake a small piece of work to review the organisations current usage of the AX system and provide some initial user training. This initial first engagement provided VERIPOS with the opportunity to evaluate the knowledge of Incremental Group’s Dynamics AX Consultants and the quality of work. Ultimately VERIPOS was impressed with the output of this exercise and decided to transition support of the Dynamics AX application to Incremental Group. During discussions, Incremental Group advised VERIPOS that they had developed several Dynamics AX Modules that integrated with the off- the-shelf Dynamics AX offering from Microsoft. It was identified that some of these modules, alongside the configuration of further standard modules, could assist VERIPOS in realising efficiencies in a number of areas. The building of a foundation upon which further system integration can be added. In January 2016 VERIPOS awarded Incremental Group a contract for services associated with the implementation of a project to enhance their use of Dynamics AX and realise the related business benefits. This project involved standard Microsoft modules as well as some of the Incremental Group owned modules. The system went live across the UK, Singapore, Houston, Brazil and Australia during Quarter 1 2017. Ongoing 2nd line support is now provided by Incremental Group based on the ITIL v3 model. As a result of this project, VERIPOS doubled the number of system users to 60 and embedded process to ensure that all regions work in a uniform way. VERIPOS now transact with all clients in the same way, regardless of whether the Client is based in Aberdeen, Hong Kong or Houston. Dynamics AX has become VERIPOS’s core tool for doing business and it now underpins their entire business operations. Equipment sales, equipment rental, processing of signals, maintenance and invoicing are managed efficiently in a consistent way in one system. The benefits anticipated in the original business case are being realised. It has been a very busy twelve months in terms of system and business change. 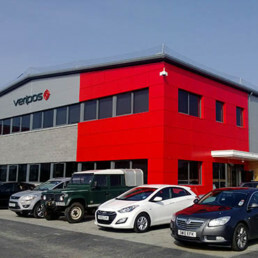 Veripos intend to let the new system and processes bed in over the coming months with a view to then engaging with the business again to discuss further changes and opportunities for further efficiency.